STANWOOD–(PR Newswire)–Effective immediately, Thermal Pipe Shields (TPS), a privately held mechanical insulation supply company with three generations of industry engagement dating back to 1942, is announcing an exclusive agreement reached to provide nationwide distribution of the first new water resistant calcium silicate (calsil) mechanical insulation to enter the North American market: TPSX-12™. This exclusive supply agreement was recently finalized with BEC Industrial (Shanghai) Co., Ltd. in a bold move to break up the current monopoly paradigm due to market consolidation which has left a single source manufacturer in North America. Jeffrey Heckman, who founded TPS in 1995, shares the history surrounding this disruptive innovation to the industrial insulation market. “My experience as an insulator in the field gave me the motivation to start TPS. I would make the calsil insulated pipe supports in my parent’s garage. My wife, Jennifer, would deliver them to the contractors in Seattle and then pick up more calsil insulation on the way home. It doesn’t get anymore mom & pop than that!” Up until today, TPS was solely focused as an OEM fabricator of pre-insulated pipe supports widely used for both hot and cold process piping within the commercial mechanical construction market. Jeff and his team grew the company to become the largest supplier of insulated pipe supports in Western North America. Calsil insulation has a 45+ year history as the workhorse of the industrial insulation market which involves high temperature piping, tanks and equipment operating up to 1200℉ within large industrial facilities such as oil refineries, chemical and power generation plants and pulp and paper mills. In 2004, the North American monopoly supplier at the time formed a joint venture with the owners of a Shanghai calsil insulation factory which had been operating since 1987, and imported product which was sold under their well known North American brand name. In 2014, that same factory was purchased by a new owner and renamed BEC Industrial, but unlike the former factory owners, BEC made no such U.S. based JV agreement and therefore had no established distribution channels into the large North American market. BEC Industrial is uniquely positioned among worldwide calsil insulation manufacturers because of their experienced staff and well-established history of producing a higher quality 3’ long material by using an advanced corrosion inhibiting formula and unique filter pressing process specifically designed to satisfy the more stringent North American market requirements which must meet or exceed all physical properties in accordance with ASTM C533 type I. As part of this expansion, TPS also announces a strategic leadership acquisition to grow the newly formed industrial insulation division. David Shong, formerly Western Regional Technical Manager for the sole source North American calsil manufacturer, has joined TPS as Vice President of Industrial Business Development & Technical Services. Mr. Heckman explains, “David brings a wealth of technical product knowledge, broad industry relationships, respected reputation and a tenacious work ethic. We feel David will bring a high level of credibility to our new industrial insulation business.” Mr. Shong feels tremendous passion towards the industrial insulation market and is well-known as a “straight shooter” among his clients, which include mechanical engineers, plant operators, insulation contractors and material distribution companies. TPS will be distributing an official calsil insulation market launch announcement to their existing customer base which includes the five largest mechanical insulation distribution companies in America. This separate announcement will provide full details and invite them to expand their existing relationship with TPS to now include calsil industrial insulation. My family has been in the mechanical insulation business for 76 years and we have seen a lot of change during that time. My experience as a union heat and frost insulator has taught me a lot about the value of using quality products installed by skilled craftsmen. Back in the day, we installed miles of calcium silicate as our bread and butter industrial insulation. Over the years, the market has consolidated and many people may not know there is only one company left in North America still manufacturing calsil. You also may not know that Thermal Pipe Shields (TPS) has purchased large amounts of both domestic and imported calsil to manufacture our insulated pipe supports for almost 23 years. We’ve bought from six different factories over those years and a while back we found what we believe is the best calsil at the best price. Just like we saw a need for our pipe supports back then, we believe the time is now for the single source calsil market paradigm in this country to end…. Let’s face it. We all know calsil is a great choice for most hot industrial jobs because it’s a high strength non-combustible insulation that promotes skilled labor, bands up tight, supports the jacketing and stands up to plant abuse when people walk all over the piping. More importantly, it provides consistent return on investment for the owner in terms of energy savings and worker safety. We need to embrace the idea, “What’s best for the owner is best for the industry.” However, the old calcium silicate that guys like me and my dad used to install 30+ years ago was a lot different than the calsil being produced today in the U.S. The old product was made with a process called filter pressing and it was bullet proof. The problem was the old version had a propensity to promote corrosion under insulation (CUI) and a lot of plants wrote it out of their specs. The old monopoly provider here in the U.S. changed the formula in 2002 to actually inhibit CUI, but today’s domestic version is also molded differently. It has much lower compressive strength and breaks a lot easier than the calsil I learned to install coming up on the tools. What if there was a product that kept all of the good things about old calsil like high strength and low cost, but left the not so good things in the past like hard to cut and a tendency to cause CUI? My friends, we have a solution! Get ready for the biggest disruption to the industrial insulation market in a long time; it’s time for some good ole’ fashioned competition in the world of calcium silicate! In our quest to find the best and most cost effective calsil to make our pipe supports, we searched the whole world over. And let me tell you, there are absolutely some calsil products out there that you do NOT want to buy. Believe it or not, back in 2004, the domestic calsil producer at the time did a joint venture with a calsil factory in Shanghai, China and that company imported Chinese calsil into the United States for an unspecified number of years. The import product met all of the ASTM specs and was sold under their well known brand name. In 2014, new owners purchased that same Chinese factory and renamed the company BEC Industrial (Shanghai) Co., Ltd. However, unlike the previous factory owners that had a U.S based joint venture, BEC never entered into any such JV agreement. That left BEC with a decision: how could they penetrate their product back into the large North American market to grow their business and break up the monopoly in calsil? 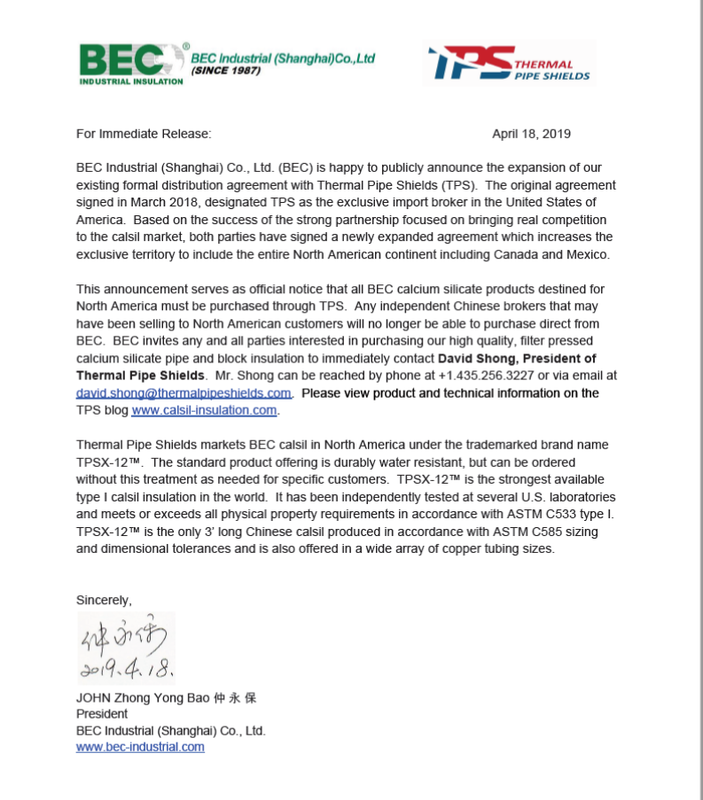 Today, we are happy to announce BEC has signed an exclusive national distribution agreement with TPS as the sole direct importer to offer their full line of high quality calcium silicate pipe and block insulations to the U.S. market. BEC Industrial (Shanghai) Co., Ltd. produces TPSX-12™ filter pressed water resistant calcium silicate pipe and block insulation. It is third party tested to meet or exceed all of the physical properties of ASTM C533 type I. This includes the latest corrosion test methods creating a specifiable equal to the incumbent product. It is suitable for continuous use up to 1200℉ and is easy to identify because it’s the only import calsil to be offered in 3’ lengths. 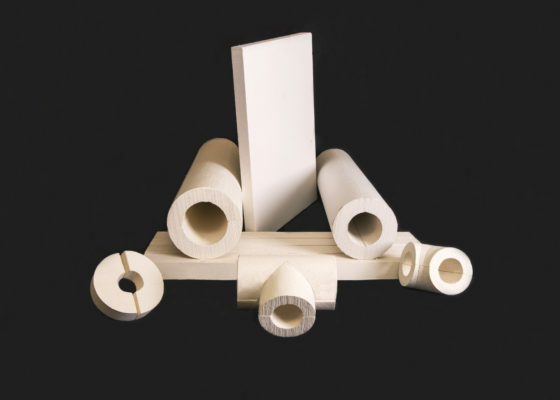 BEC also offers factory fabricated fittings for elbows, tees and caps, fabrication adhesive and finishing cement to ship along with their pre-formed pipe covering and block. The IPS offerings are unprecedented in North America with pre-formed sections in various configurations ranging from ½” to 126” (See list price page). That’s right, BEC offers half sections, tri, quad, hex and curved radius block (CRB) which is not currently available from the domestic supplier. Many major project specifications are now requiring CRB (excluding scored block), so now you have the option of purchasing pre-formed lags instead wasting fabrication time in your shop. This broad assortment of configurations is a key differentiator focused on packing as much calsil into a container as possible, thereby reducing the number of containers to unload and warehouse/laydown yard space to consume. Finally, we also offer plain block for flat work and 3-V scored block for large diameter vessels if the specifications allow it or based on contractor preference. While the incumbent molded material advertises 100 psi compressive strength, TPSX-12™ filter pressed calsil offers twice as much compressive strength averaging over 200 psi! Again, it meets all the same density (weight per foot) and other physical property requirements, but it provides significantly higher compressive strength to support the jacketing due to the more advanced filter pressing process. We are also pleased to announce all TPSX-12™ will be water resistant! This decision was made due to the tremendous response from our customers to only have one inventory to stock. It will predictably shed bulk water on the jobsite, but don’t forget all organic compounds like silicone treatments will burn off starting around 450℉ in accordance with the insulations’ temperature gradient. However, the integral corrosion inhibiting chemistry is always there ready to kick in should some water become absorbed during its lifetime. Water resistance is simply contractor friendly feature so they don’t have to stop work and scramble to cover the calsil with plastic sheeting should a rainstorm occur. This post filter pressing dip treatment provides much better water repellency than what you’re used to seeing in the market. It really works well and is now a standard feature for all TPSX-12™ pipe cover, CRB, block and fittings! We are offering your company TPSX-12™ calsil insulation at a significantly lower cost to break into the market and break up the current calsil monopoly. We believe in creating real competition and choice. 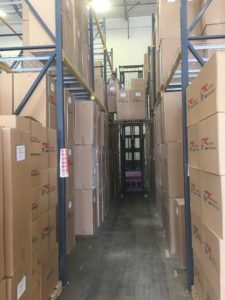 Trust us, this willingness on your part to expand your existing relationship with TPS from just pipe supports to now include your calsil pipe insulation needs will provide powerful financial benefits to your company’s bottom line and your ability to service your customers with high quality products. We are prepared to offer full container loads (FCL) for double digit percentage savings compared to your current calsil supplier. You will want to see our pricing. It’s a game changer. Lead times are competitive with many other insulation products and FCL orders are delivered freight allowed to your warehouse or jobsite anywhere in the North America. LTL orders can be shipped at a lower discount with full freight added from the TPS warehouse near Seattle, Washington. TPS keeps an average of 6 containers of BEC calsil in stock to produce our pipe support products and is now offering it for resale to help our partners with fill in or rush orders as required. We are also planning on stocking calsil in our Las Vegas, NV location and may open a warehouse on the Gulf Coast depending on which distributor(s) win those states. We are offering first choice for exclusive territories to the five largest insulation distribution companies that have supported us through the years by buying our TPS pipe supports. Be aware there are several areas of the country where some of our established distributor customers do not currently have the ability to buy calsil from the sole supplier. This has the potential be a true game changer for those who are willing to act quickly and take a calculated risk to grow their business. Make no mistake, this a 50 state strategy. We have a tremendous product that we are taking across the continent, but we are offering it to ONLY 1 COMPANY PER TERRITORY! However, in mid April, we plan to offer independent distribution companies access to any remaining territories. The fifty states will constitute the territories. Texas will have two territories separated by the 31st parallel and California will have two territories separated by the 36th parallel. Multi-state territories are available to individual companies that maintain brick and mortar branches in each state requested. We believe regional plays will be in everyone’s best interest so our exclusive partners can maintain a wide berth. To protect the integrity of the new calsil market, TPS will only ship to the distributor’s warehouse or jobsite that owns that state or territory. 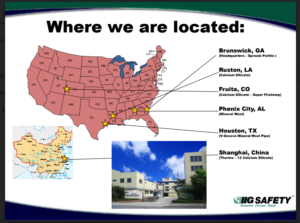 BEC has dedicated significant manufacturing capacity to support the explosive growth that will occur as a result of this disruption to the market, Our lead times are competitive which will help you better manage your inventory turns and cash flow, but our expectation is that our distributor partners will keep an adequate stock on hand spread throughout their territories/regions at all times. Remember a 40’ high cube container (390-400 TPSX-12™ cartons) only equals 65% of the volume of a regular 53’ truck so the deliveries can be unloaded much faster and take up less room in your warehouse. 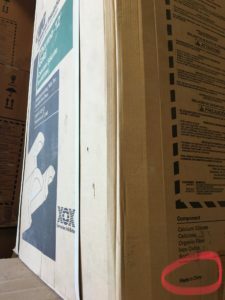 Each custom labeled carton also features strong plastic webbed bands with crimped metal seals to allow for much easier handling in the warehouse and on the jobsite. Please email your territory requests along with your historical or expected new calsil purchases (# of truckloads and total $ volume) before April 16, 2018. TPS will hold these requests in complete confidence regardless of whether or not we reach a partnership agreement. On April 16th, if any territories are still not claimed, we will open up the offer to other independent companies which could include direct buy contractors. Starting May 7th, we will finalize the territory agreements, send out a pallet of samples and upon your cost/quality approval, will require your first FCL purchase order with a 50% check/wire deposit to secure each territory. Once all territory agreements are established and initial orders are received into stock, TPS will, at your request, post partner contact info by state on our website with an interactive map to help drive sales to your company. We encourage companies with multiple locations within a given state to order multiple containers or split loads with other in territory branches as to mitigate any potential shorts from one branch to the other. There will be no attempt to regulate transferring product across state lines in support of other branches to ensure adequate project supply. TPS will work together with each partner to set conservative 2018 and 2019 sales targets by region which will be regularly evaluated to promote the best interests of each party. Many people are unaware the historical sole source monopoly calsil supplier in the United States made a formal joint venture (JV) with a Shanghai calsil factory. The name of the Chinese factory at the time of the JV was SEPMW (Shanghai Electric Power Machine Works). This factory produced 3′ long filter pressed calcium silicate insulation and shipped it in cartons with the U.S. brand name artwork to the United States with a “Made in China” label on the bottom edge of the carton (see red circled photo). The JV started in 2004 http://www.bec-industrial.com/history.html and ended at a later unspecified time. In 2014, this same factory (pictured in slide and TPS Crew Photo) was purchased by Zhong Yongbao and renamed BEC Industrial (Shanghai) Co., Ltd. Unlike the previous factory owners, BEC Industrial never entered into a JV with the U.S. monopoly supplier. BEC tried unsuccessfully for several years to gain entry of their filter pressed calsil back into the large North American market. In 2018, BEC formed an exclusive import brokering agreement with Thermal Pipe Shields, Inc. Through the many benefits of competition, BEC calsil is now available for sale under the trade marked brand name TPSX-12. If the calsil from this Chinese factory was good enough for the North American market back then, it is still good enough! Same factory and same high quality product, but the differences now are the BEC product ships in a TPS logo box and TPSX-12 is the only durably water resistant 3′ long Chinese calsil insulation that meets and exceeds all the physical property requirements in accordance with ASTM C533 type I. We have 12 years of experience using BEC factory produced calsil insulation for our insulated pipe supports and always felt it was the best type I calsil we have ever found. When BEC approached us in late 2017 with an offer to become the exclusive import broker for their high quality calsil pipe and block insulation, we were very excited to bring real competition to the industrial insulation market. BEC provided several third party test reports from China and Italy to prove their product meets the specs, but we, like many others in North America, were skeptical of the validity of foreign lab reports in providing reliable information. 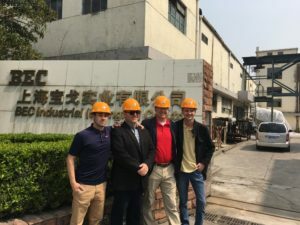 As the exclusive import broker for TPSX-12 water resistant calsil insulation, we feel a great responsibility to ensure that we act as the bridge between the manufacturer and our North American customers. Soon after we launched TPSX-12, we made a significant independent investment ($15k) to test ALL of the physical properties of the product with a well respected and independent third party laboratory called Tutco Scientific located in Fruita, Colorado. Tutco was the principal firm for the testing battery, and they sub-contracted some of the testing through two other independent labs well known for their particular test methods. In addition, TPS paid to test the North American wet molded product in order to directly compare the physical properties of each material. We chose not to pay for full thermal testing of the incumbent because the performance of that product is well established in the market. We chose to invest that money in testing TPSX-12 per the ASTM C518 test method at higher mean temperatures above 700F which was not heretofore available in the market. These additional data points will be valuable to engineers when calculating the insulation thickness requirements per the API 521 report. Bottom line: If the project specifications call for calcium silicate insulation per ASTM C533 type I, one can absolutely submit TPSX-12 with fully supported U.S. third party data demonstrating compliance with the material standard specification. In addition, filter pressed TPSX-12 is the strongest 3′ long, water resistant type I calsil insulation available in the market. We encourage engineers to utilize generic ASTM material standards because they are the best way to ensure REAL COMPETITION for any product and compliance can be independently verified. ASTM material standards are PERFORMANCE based, not ORIGIN based specifications. Any country specific language in engineering specifications should be removed because they will limit competition and deprive the owner of the benefits thereof. Thermal Pipe Shields and BEC Industrial recently reached agreement to expand our joint partnership contract for all BEC calcium silicate products to include the entire North American continent including Canada, the United States and Mexico. This formal and binding agreement includes the cessation of any BEC sales to independent brokers that may have sold BEC calsil insulation to North American customers. Please see attached announcement signed by the President of BEC. Thermal Pipe Shields is ready to provide unsurpassed service to all North American customers and unite the entire continent under a single strategy focused on bringing real competition to the market under the trademarked brand name TPSX-12. Due to increased requirements for higher levels of thermal efficiency and safety on high temperature industrial piping and equipment, many calsil insulation projects are now being specified with thicknesses greater than the maximum 3″ wall for pipe cover in a single layer. This industry standard ensures the individual sections do not become too heavy for an installer to handle on the job site. Installing in 2 and 3 layers with both horizontal and circumferential joints staggered is becoming the norm, not the exception to the rule. Multi-layering should be considered a best practice to ensure as the hot metal pipe grows in length and to a lesser extent diameter, that joints between the insulation sections do not open up. Many of our customers have asked us to create a reference tool that allows them to quickly build multiple layer configurations. We listened and are happy to share this new tool with the market. TPSX-12 is produced in accordance with ASTM C533 type I for physical properties AND ASTM C585 for pipe sizes and dimensional tolerances. This sizing specification allows for the “nesting” of congruent sizes in order to provide total thicknesses greater than 3″. Please note this chart demonstrates just ONE possible way to build multi-layer assemblies. Due to our unprecedented assortment of pipe sizes and wall thicknesses, there are many other permutations to achieve the same result based on what sizes are in stock at any particular time and location. TPSX-12 is available in 1, 1.5, 2, 2.5 and 3″ wall thicknesses for ALL pipe sizes from 3/8″ iron up to 126″ diameter. Please click on the link below to view the tool and contact TPS directly if you would like a copy of the spreadsheet emailed to you. Our motto is TPSX-12 is calsil, only better…. One of the many reasons is the unprecedented offering of different sizes of filter pressed calsil insulation pipe cover and block. In addition to our vast assortment of International Pipe Standard (IPS) and heat traced pipe sizes, we also offer legitimate COPPER tubing sizes that will actually fit on copper pipe ranging from 5/8 to 4 1/8 in 1, 1.5, 2, 2.5 and 3″ wall thicknesses! Please click on the link below to view all of the various pipe sizes and wall thicknesses. If you would like the actual spreadsheet emailed to you, please contact TPS directly. Thermal Protection Solutions is brought to you by Thermal Pipe Shields Inc. After 3 generations of being in the mechanical insulation field, we’ve learned a thing or two. This site’s purpose is to share the knowledge about industrial insulation.